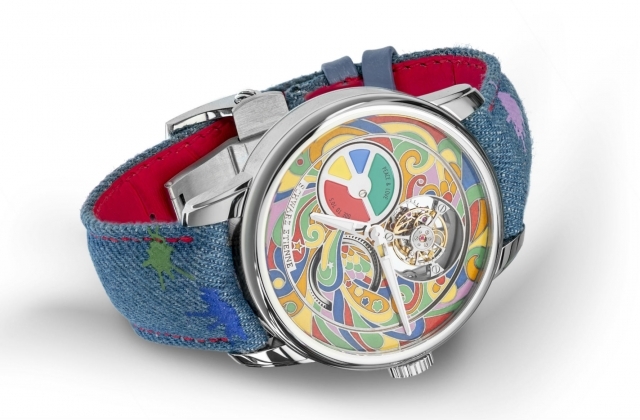 Laurent Auberson knows good design, especially when it comes to watches. 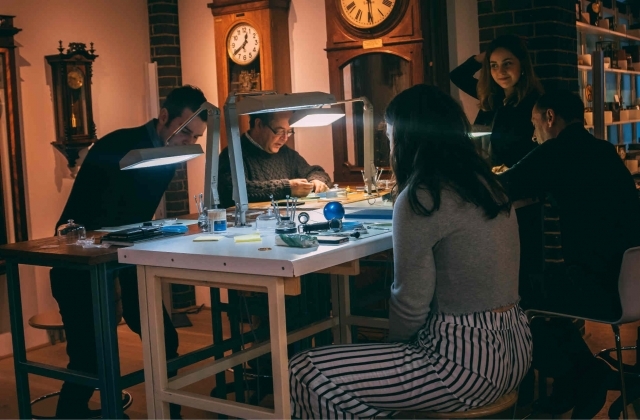 Sure, like most designers he’s dabbled in the likes of sunglasses and bookshelves, but his true passion is in collaborating with watchmakers as varied and diverse as Andreas Strehler and Chronoswiss. His latest work? The seriously cool Vault V1-X. The original V1’s already one hell of a watch but it’s a bit monochrome, a combination of blacks, greys and slightly lighter greys about as colourful as a safe deposit box. It’s awesome, but it could use a splash of colour, something that Auberson decided to take literally. 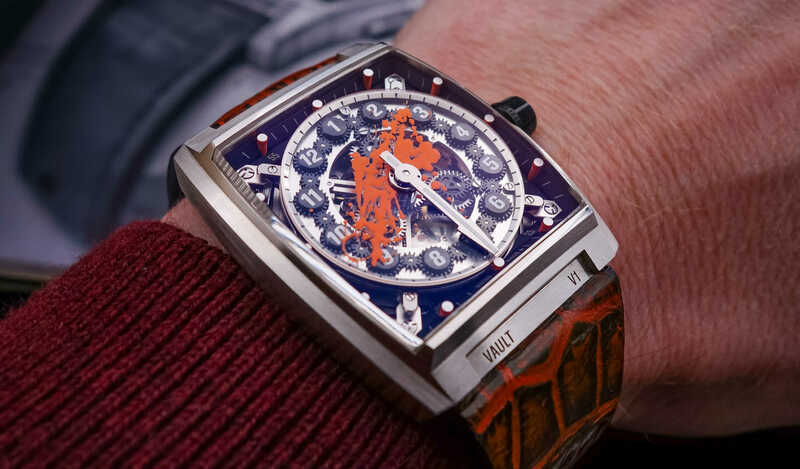 In the V1-X the sapphire crystal disc at the core of the watch has been given a bright new paint job with… well, paint – literally a random splash of orange paint. It’s colourful, frenetic and, through an impressive use of negative space, takes the place of the usual opaque disc that indicates the hour. 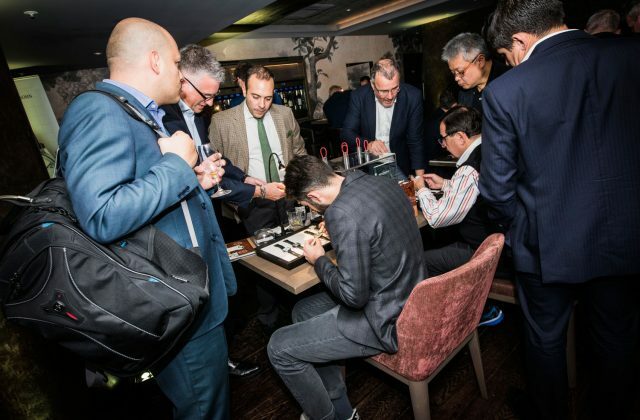 It’s more than a bit of design flair; it actually makes the watch incredibly easy to read. 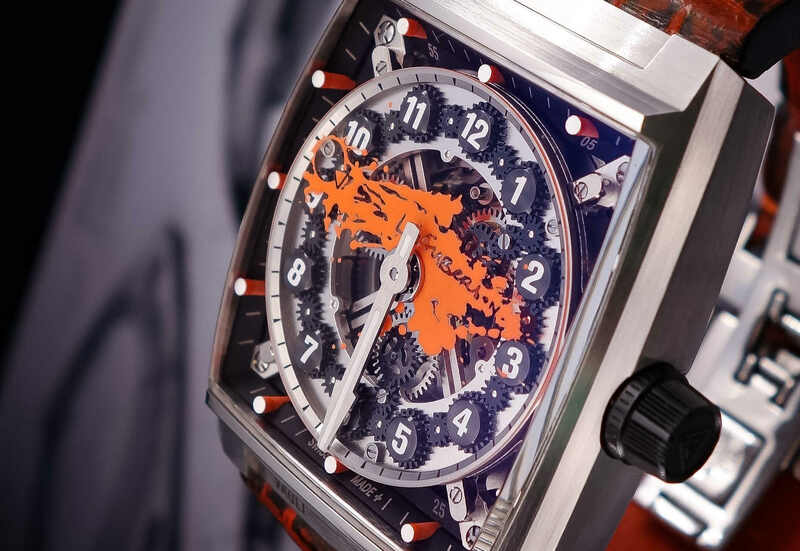 That central splash of orange is complimented with lumicast five-minute indexes around the dial. The bright spots of colour come alive in the dark but are nothing compared to the halo of superluminova that borders the sapphire disc, only visible in low light. It’s an incredible display, but if there’s anything that can match it it’s the strap. Master strap maker Mirea Marian has gone to town on what could normally be a plain, uninteresting stretch of leather. 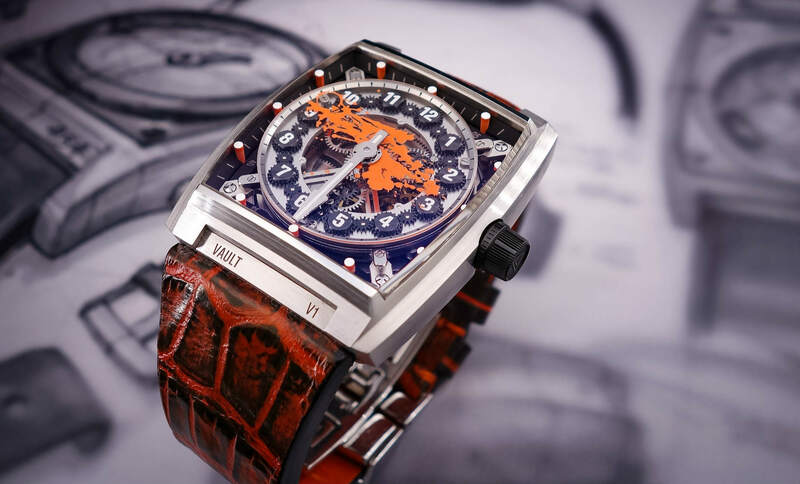 The chunky crocodile leather has been beautifully hand-painted with yet more orange, contrasting with the black underneath. There’s just one problem: The Vault V1-X is a piece unique. Sorry to break the news. Still, it’s an impressive collaboration and one that not only showcases what Studio Auberson can do, but the potential of the V1 itself. Here’s hoping there’s plenty more to come.